Tourico Vacations Reviews the Crescent Hotel in Eureka Springs Arkansas – Built in 1886, The Crescent Hotel is so beckoning, you might not ever want to depart – and some visitors never have, or so the legends go. Tourico Vacations Reviews the Crescent Hotel in Eureka Springs, Arkansas. 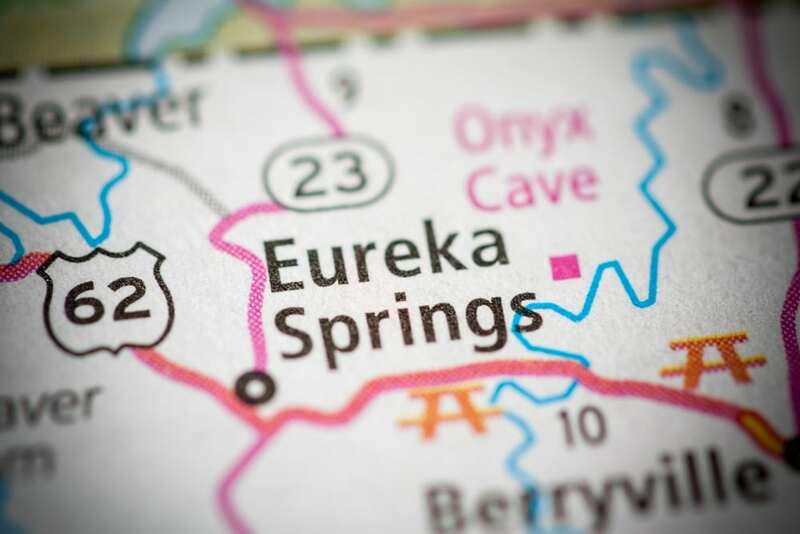 Eureka Springs is the quintessential Victorian town, as famous for supernatural sightings as it is for its undeniable beauty, not to mention its fabled history that spans centuries. Eureka Springs is perhaps best known throughout history for its waters. The springs in the region are famed for their healing qualities. The idea for The Crescent came into being to support the influx of travelers who came seeking health but who also needed a place to rest. Isaac Taylor was the commissioned architect sought to design what would become one of Arkansas’ most sought-after destinations. Irish stonemasons were also commissioned to hand-carve the limestone brought in from White River. One of these masons, Michael, fell from a scaffold during the construction phase and many visitors and staff say that his spirit haunts Room 218. The Crescent was completed and opened in May of 1886. It was equipped with the most modern of technology at the time, such as lamps from Edison and even an elevator powered by hydraulics. Because many visitors arrived via carriage, a stable built to accommodate at least a hundred horses was built, as well as a dance hall, a pool, and hiking trails wide enough for those who desired to traverse them via their own carriage. It was built to be a resort open all year long, but in 1900 the economy took a drastic downturn and The Crescent became a resort for summer stays. During the off-season, the hotel operated as Crescent College, as well as acted as housing for the young women attending. At Crescent College, the young women learned several disciplines, such as home economics, music appreciation, and literature. The Crescent Hotel served as Crescent College from 1908 through 1924. New owners discontinued the lessons; however, after they sold the hotel in 1929, Crescent College was reborn. Sadly, the Great Depression created a lack of appeal for resorts and by 1933, The Crescent was no longer in use as a hotel or a college. Today, while no longer a college, The Crescent Hotel and Day Spa offers luxurious amenities for visitors, as well as paranormal excursions for those who want a spookier lesson on life in the Crescent. Tourico Vacations Reviews the Crescent Hotel in Eureka Springs, Arkansas and other great destinations for travel with you.